Join us for a weekend adventure in the wilds of beautiful Bedford with experts from Canoe Trail as we go for a paddle (no experience necessary) and build our own camp spot in the gorgeously remote Matchstick Forest. This will be a gentle introduction to paddling and bushcraft skills as we learn to build shelters to sleep in, cook over the fire (which you build and light yourself), practise knot tying, rope work and adventure skills. You don’t need to be Indiana Jones, this adventure is open to everyone over 4 years old. 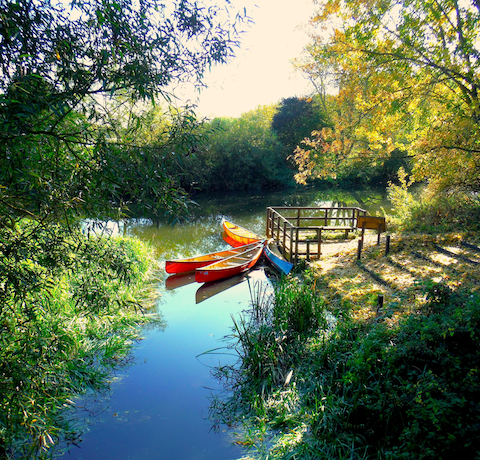 Choose from a fleet of 90 canoes, kayaks and stand up paddleboards and learn to paddle down the Great Ouse River. We will meet in Bedford at Longholme Café and Boating Lake, get you kit out in paddling equipment before giving you full tuition on the river bank and then you are ready to set off. 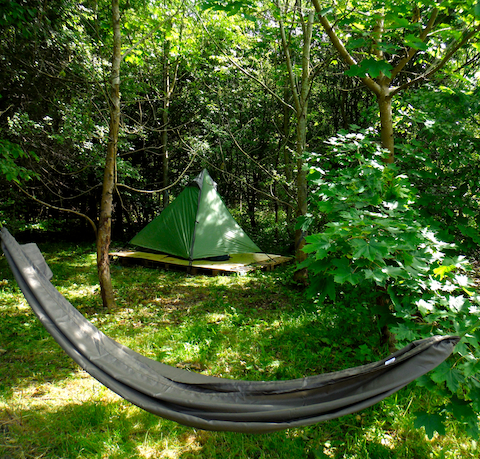 Arrive & make camp in remote woodland, completely cut off from the world! Dinner around the campfire and of course, we’ll break out the marshmallows and chat adventure! Finish at Great Barford - high fives all around! Canoe Trail is a family run water sports and adventurous activities company run by husband and wife team Richard and Ashley. They have spent their whole lives enjoying the water and the great outdoors and Canoe Trail provides the opportunity to share their passion for water sports and adventure with others. Richard and Ashley are passionate about canoeing, kayaking and stand up paddle boarding, basically messing about on the water. They have a riverside woodland campsite and provide low ropes, archery and bushcraft - and they can’t wait to meet you! Fill in the form below if you’re keen to find out more. If you’re ready to book your place straight away, you’re awesome - click here! Do you have any questions before booking?